Liu Changchun was the first Chinese to participate in the Olympics, inspiring many of his countrymen to follow in his footsteps. Seventy-five years after Liu competed in the 1932 Los Angeles Summer Games, and a little more than a year before the 2008 Beijing Olympics, a movie called "The One" will be shot to commemorate him. His son Liu Hongliang was at the press conference announcing the movie project. And he had many memories of his athletic father. "My father passed on his optimism and patriotism to us," Liu told China Daily website. Liu senior was a celebrated sprinter from Dalian, in China's northeastern Liaoning Province. In 1931, the Japanese began its occupation of northeastern China and created a puppet state called Manchukuo. The Japanese concocted a plan to send Liu to the 10th Olympic Games and represent Manchukuo. But the patriotic-minded athlete made a statement in the Ta Kung Pao newspaper, refusing to represent the so-called state at the Olympics. "Upon reading about my father's statement, the patriotic General Zhang Xueliang (also spelled as Chang Hsue-liang) declared he would financially support my father to the Olympics to represent China," recalls the younger Liu. "General Zhang was a tremendous influence on my father. He opposed the Japanese invaders all his life despite the harsh living conditions." With General Zhang's money, Liu set sail from Shanghai to Los Angeles. "After about a month on the boat, my father had gained a few kilos. He was not at his best," his son remembers. Three days after Liu arrived in Los Angeles, he competed in the Olympics, and was eliminated in the preliminary heats in the 100m and 200m sprints clocking 11.1 and 22.1 seconds respectively. "After the Games were over, the money donated by General Zhang, about US$1,000, had already run out. Liu had to solicit donations from local Chinese community in Los Angeles to be able to buy a ticket back home," said the young Liu. Liu's pioneering way to the Olympics may be of symbolic value to the Chinese, past and present. But for him, it was a sad memory. When asked if his father talked about his Olympic experience, Liu said, "He rarely talked about it. When he left Shanghai for Los Angeles, he was very excited. But he was disappointed when he came back." The participation to the Olympics was full of twists and turns, but Liu's life after the Games was even bumpier. His son recalls: "Because my father refused to represent Manchukuo, the Japanese wanted to arrest him. Even when were not in Northeastern China, we were monitored for a long time. "After we came back to Nanjing, my father did not have a job, and our family were in complete destitution," Liu continued to say, as he wiped tears from his eyes. "We suffered a lot when I was a kid." The difficult situation Liu and his family suffered changed Liu's attitude towards the athletic career he dedicated his life to. "My father told me a career in sports is good-for-nothing. The country at that time did not pay much attention to sports, and he did not want his children to engage in sports. He told me there was no future for a man in sports," recalls Liu, who is currently a member of the Chinese Academy of Engineering. 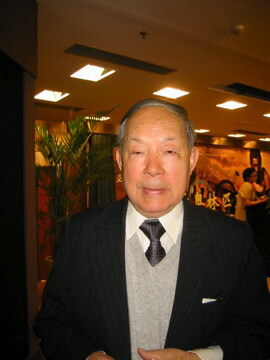 "But he always loved sports, and he had a wish that China would one day hold an Olympic Games," said an emotional Liu. "If he was here now, he would be amazed to see Beijing host the Games next year." Liu Changchun died in 1983. When Liu reflects back on his father's legacy, it's his optimism that he remembers most. "When food was a problem, the Olympic Games were the last concerns on people's minds. But I think it's his high spirits that navigated his life. And I learned that from him. I guess that's what the Olympic spirit is about."